“We don’t want a boy dog,” she [my wife] said. “And the problem with a black dog is you can’t see it in the dark. But why don’t we go along anyway, just to look?” That, of course, was our great mistake, an error which brought us almost 15 years of happiness. 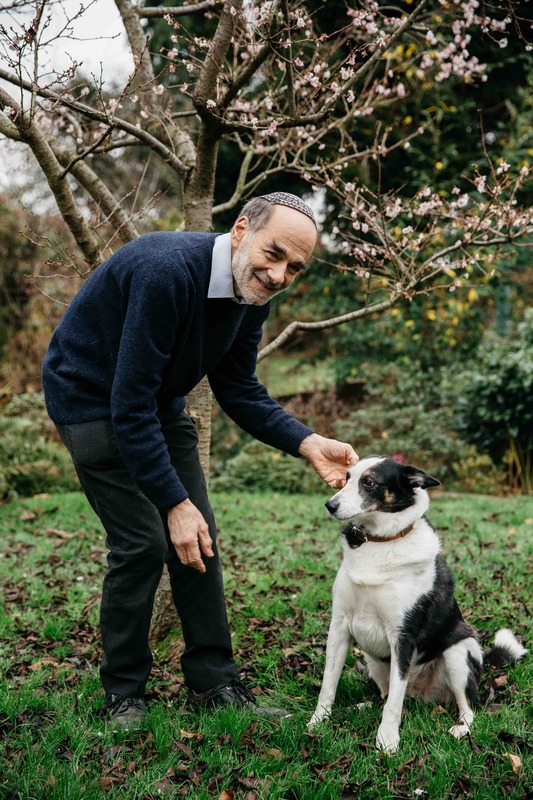 Rabbi Jonathan Wittenberg’s book Things My Dog Has Taught Me is an honest and touching meditation on life with dogs from someone who hasn’t always been a dog person. This is no “be more dog” hyperbole about running after your goals, but rather a thoughtful collection of observations from a man who didn’t grow up with dogs and who is acutely aware of the human condition. Wunderdog spoke to Jonathan at his home, while Mitzpah was sleeping on the kitchen couch. You describe the companionship of dogs. What stands out for you most? Jonathan Wittenberg: It’s the faithfulness of dogs – they stay with you through thick and thin. Once they are devoted to someone, they can be very unselfish about it. They don’t go ‘oh, I got something better to do with my time now I had planned’. You might feel low or lonely, and the won’t say ‘sorry, you are not in my diary for the next hour’. Dogs don’t do that, there is something steadfast, loving and unselfish and lack of complexity. I think of a rabbi as being kind and always making time for someone in need. So, what can you learn from your dog? I wish it’s something to aspire to. My dogs have helped me see the world more deeply. One of the great religious feelings is wonder – an appreciation. Dogs enjoy their walks. They have taken me out to places and times that I wouldn’t have otherwise. And at night, to walk with the dog, be among the trees, see the stars, the lights of this great city of London, all those things I wouldn’t have done if the dog hadn’t said ‘come on, walk – now’. So, to see, to appreciate, to value. And in a very different dimension, how to be companions. 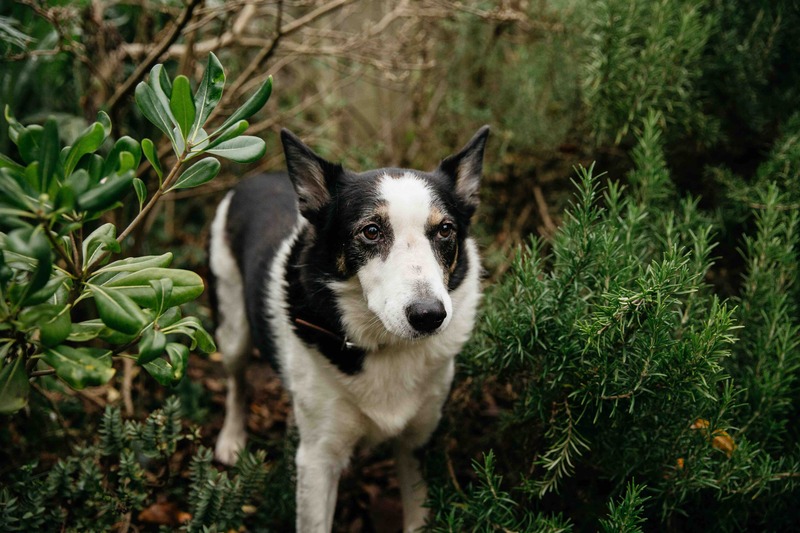 When a dog senses that someone is low – even more so my first dog, Safi – he was there when somebody was feeling low, he knew it. Towards the end of the book, I talk about a play on the Hebrew word for a dog, which is ‘kelev’. The second syllable of the word ‘lev’ means ‘heart’, and ‘ke’ is ‘like’, so it’s ‘like the heart’. There is something very heartfelt about the affection and closeness of a dog, and a lot of people recognise that word for dogs. Mitzpah comes to the synagogue with you. How has he touched your congregation? I remember one family lost a child tragically, and when I came to see them they asked ‘where is your dog?’. I didn’t want to bring the dog into a house of mourning uninvited, and they said ‘please bring him in’. They were thinking about getting a dog and eventually got one. They said the puppy helped them enormously, because on bad days, when they felt it was too painful to get out of bed, they had to take the dog out. The dog brought so much love, it helped them make a path through the pain. In the chapter on asking, you say righteous people feed their dog first. Is Mitz eating first? The first thing I do in the morning is give him his breakfast and go outside and fill the bird feeders, especially at this time of year. Because you look after other lives first, before your own, and also we are responsible for them. Dogs can’t decide ‘I want to eat now’. They are dependent on us. They trust us and we need to honour that and trust back by looking after them. If we sit at a table and another human being is at the table and hungry and not put a plate in front of them, that would be obviously cruel. So, it’s obviously cruel to a dog as well. If a dog is hungry, feed them first. Consolation also plays a big part in your book. Can dogs offer consolation in other ways than what we might expect, such as licking away tears or snuggling up? They draw a person back to life. I write about this young widow who was deeply lonely and found people didn’t talk to her, because they were afraid of saying the wrong thing or they don’t know what to say. There is a view that widows get avoided because they are socially threatening or whatever. Somebody said ‘get a puppy!’, and she says ‘what for?’ and it’s so unusual that she actually does. And she finds that people talk to the puppy and then talk to her. It doesn’t necessarily bring the closest of friendships, but it brings a whole ambience. So, in that sense of drawing us out of ourselves and being appreciated, being needed, that’s also a form of consolation. But dogs differ – there are also dogs that are vicious, that are cruel. Some dogs are naturally loving and some are reserved, and some can be nasty, and some get trained to be cruel. It’s not all the same with dogs. What is the overarching learning from your book? Our world is so people-centred, and there a danger in that. For lots of us, we’ve lost our contact with the rhythms and feels of nature and animals. And having a dog or a pet opens our eyes not just to the world of domestic animals, but to the world of the wild as well. It’s an important and humbling balance for us as human beings to realise we are not the only feeling creatures in the world, and we are not necessarily the centre of creation. The world isn’t there just for us to make use of, but for other beings. In a way, our fellow creatures on this earth, our brother and sisters, are for whom we need to be concerned and with whom we share this world.